Hang this inspiring proverb to your wall with this American Made laminated Pine wall plaque. 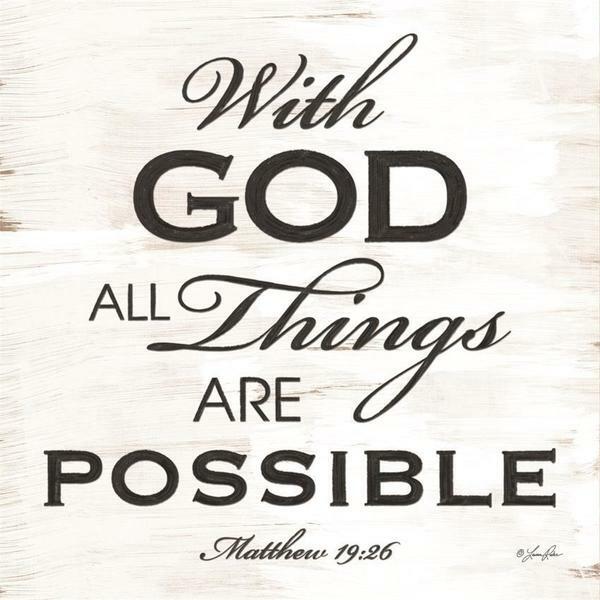 "With God all Things are Possible" Proverb 19:26 made into a plaque makes a perfect gift for a loved one. This American Made wall plaque is crafted from Pine MDF.